The Union Government on Tuesday candidly submitted before the Supreme Court that the National Judicial Appointment Commission (NJAC) for appointments to higher judiciary had a component of a "hit and trial" experiment for finding the best people for the posts. Contending that there was an element of uncertainty in every new experiment, Attorney General Mukul Rohatgi told the constitution bench comprising of Justice Jagdish Singh Khehar, Justice J. Chelameswar, Justice Madan B. Lokur, Justice Kurian Joseph and Justice Adarsh Kumar Goel that similarly there was "hit and trial" component in the NJAC. Urging the court to give the NJAC a chance to have its run before being subjected to any critical evaluation, Rohatgi said "God knows" what would eventually emerge from it in terms of selection of judges. But the court was not convinced. "Only problem is that we can`t leave it to God. It is not a hit and trial business," the court told Rohatgi reminding him that it was too serious an issue to be left to "hit and trial" or "God". At this, Rohatgi said: "If there could be hit and trial for democracy, hit and trial for secularism, hit and trial for federalism, then why not judiciary. Hit and trial is a part of democracy." Attacking the collegium system of appointment as being devoid of "transparency, rules and guidelines and something happening in a closed room away from sunlight", he however said the blame for the system`s failure lay at the doorsteps of the government, but sought to know if this still prevented the parliament from putting in place a "broad-based, healthier, transparent" NJAC. When Rohatgi was arguing that the right to insist for an appointment or right to be appointed a judge cannot be termed as fundamental right, the bench asked how many such instances are there where the collegium has insisted for appointment of a particular judge. The court asked him to give it the names of the people who were "good" and were recommended for appointment to higher judiciary by the government but were not accepted by the collegium. "Show us one incident, where there was a good material (name recommended). You (government) projected that material and sent it to collegium and it was returned," it said. "Very few," Rohatgi replied and narrated an incident where a person was appointed judge despite serious objections raised by the Government and the President as well. Justice Kurian once again asked Rohatgi to furnish the list of the people recommended by the Collegium for appointment but returned by the government for reconsideration and the collegium again reiterated the names. Its query came while addressing Mr. Rohatgi’s contention that under the collegium system - also known as judges appointing judges - the government has no voice and there was give and take amongst the judges involving "you scratch my back, I will scratch yours" in a closed room without sunlight. Referring to an instance where after receiving a positive report on the credentials of a person recommended for appointment as judge by the collegium, the government sought another report from the Intelligence Bureau, the court asked: "What is the question or the occasion (for the government) to ask for the second opinion (of the IB)... we want to know the working of the system." The bench also asked the Centre to give a list of all "bad appointments of judges" made under the Collegium system during last two decades. "It is a question of the working of a system," the court told the Attorney General as he reiterated his submission that "once a new system (for judges` appointment) comes, it is not in the provinces of the judiciary to decide on its validity on the basis of comparison with other models (collegium system)". At the outset, Rohatgi dealt with the doctrine of basic structure and the power of Parliament to amend, delete or substitute constitutional schemes and said that Article 124 (establishment and constitution of Supreme Court) is "amendable" with a strict procedure where half-of-the states need to ratify the Constitutional change. Referring to a judgment on the doctrine of basic structure, Rohatgi said the fundamentals of Constitution like "democracy and secularism" cannot be amended as they will change the face of the Constitution itself. "Right to oppose or block appointment of a judge is there (in the NJAC). We are debating as to whether the right to insist upon an appointment is part of the basic structure," he said. Rohatgi said that the power of the executive in the NJAC has been diluted as there is only one representative that is Law Minister in it in contrast to three Supreme Court judges. "Under the Constitution, the power was vested with the Executive. Then under the Collegium system judges started appointing judges in consultation with the Executive. Now the third model has to be tested independently. It is a healthy mix," he said. The Attorney General said that the new law, meant to replace the Collegium system, cannot be "weighed" on a scale with earlier systems as they are the things of the past. "You have three top most judges to guide the eminent persons (in the NJAC). You have the Law Minister to guide them. Please test the new law as it stands today...," he said, adding that the scope of debate is limited as to whether the amendment "falls foul" of the doctrine of basic structure. Rohatgi said that the opposition to the NJAC could have been "understood and appreciated" if there would have been five outsiders and one judge in the panel. 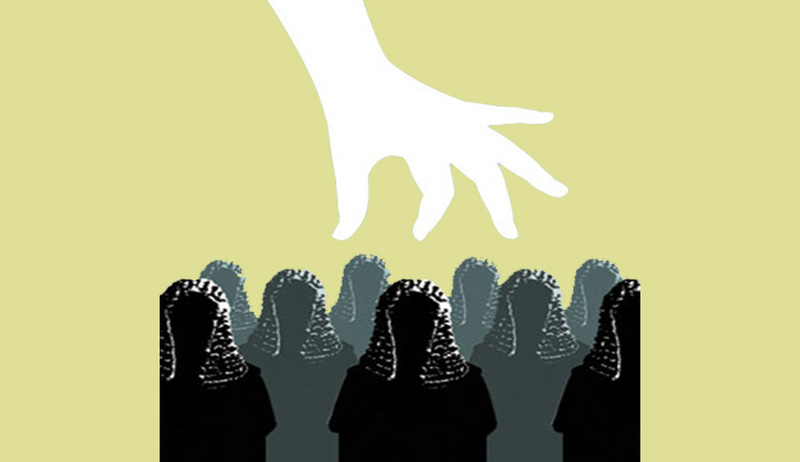 "Why we are not trusting the biggest block of three judges in the six-member panel?" he said. "Hence, in judging a constitutional amendment, the question to be addressed is whether the said amendment would lead to a collapse of the edifice of the Constitution. "Merely affecting or impinging upon an article embodying a feature that is not part of the basic structure is not sufficient to declare an amendment unconstitutional," he said. He also referred to various articles of the Constitution and said that President, normally, has a ceremonial role and acts on the aid and advice of the council of ministers. The court is hearing a batch of petitions filed by the Supreme Court Advocates on Record Association (SCAORA) along with the Bar Association of India, NGO Centre for Public Interest Litigation among others challenging the constitutional validity of the constitution`s Ninety Nine Amendment Act, 2014 and NJAC Act, 2014. The Attorney General will continue with his arguments on Wednesday.